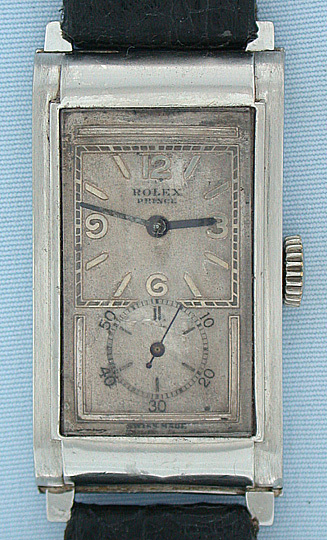 Fine and possibly unique Rolex Prince vintage wrist watch circa 1930 in an original Japanese platinum case. 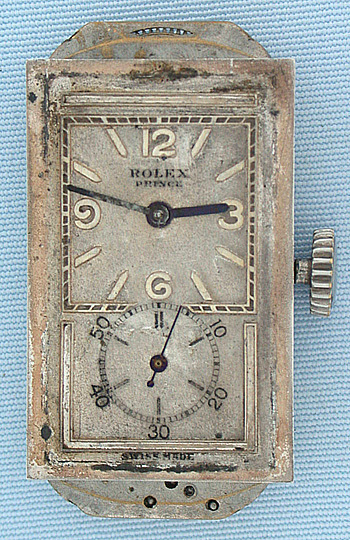 Original dial with natural oxidation and aging. 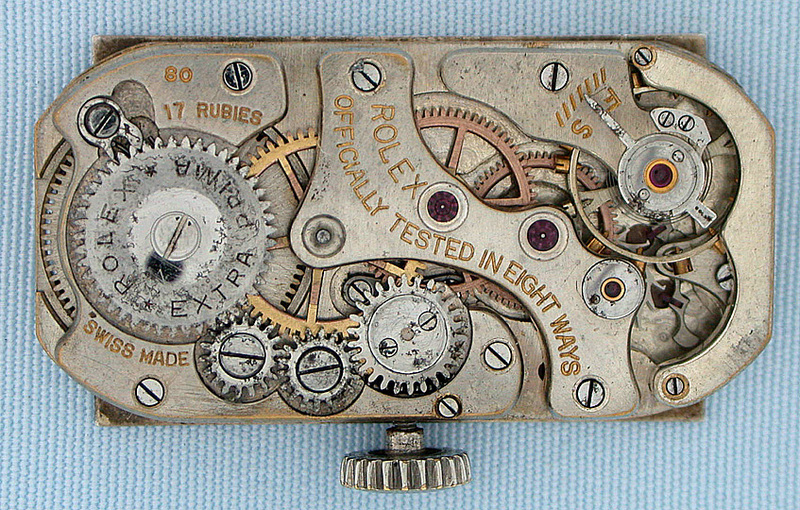 Nickel 17 jewel movement #3,978 marked "Officially Tested 8 Ways Rolex Extra Prima. 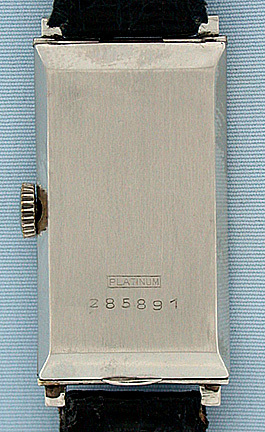 "Original case # 285,891 with Japanese platinum marks. 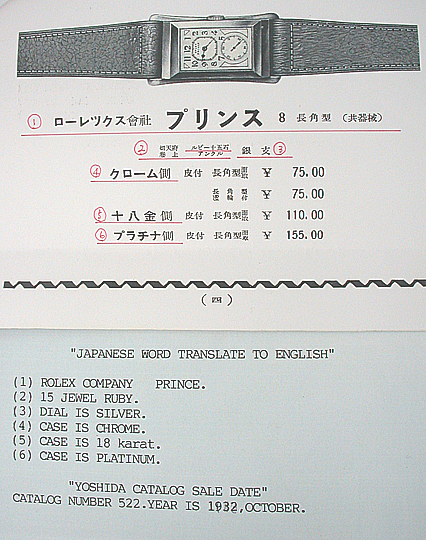 This is a Japanese case made under agreement with Rolex by the Yoshida Watch Co. 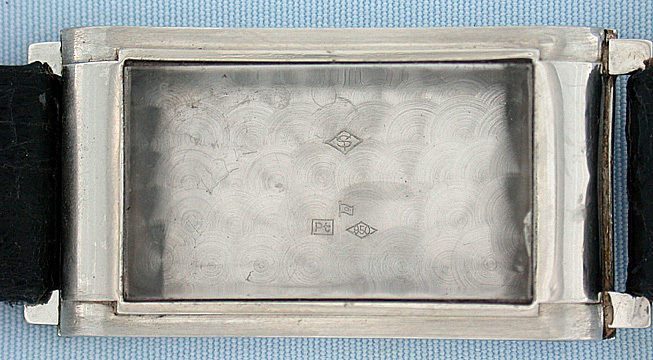 The "YS" in a diamond is the Yoshida Watch Co. mark, the "PT" for platinum and the ".950" for the standard and the rising sun flag for Japan.